We are engaged in manufacturing Aluminum & Lead Ingot Casting Machine. 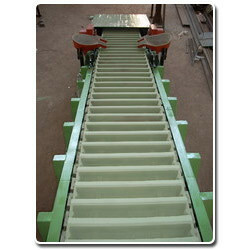 These machine are easy to operate and used in aluminum industries. We offer these machine in various specifications to cater to the diverse requirements of our clients. Features 180-220 Mould C.I Mould Continuous Casting with Distributor Note Price will vary between 8 Lakh to 12 Lakh as per buyer requirment. Established in the year 2002, at Faridabad (Haryana, India), we, “Entec Industrial Furnaces Pvt. Ltd.”, are a leading manufacturer, exporter and supplier of an exclusive range of Aluminum Melting (Recycling) Furnaces, Copper Melting (Recycling) Furnace, Lead Melting (Recycling) Furnaces, Ingot Casting Machines, Billet Re Heating Furnace, Burners, Blowers, Oil Heating & Pumping Unit & Recuperators etc. Our wide range of products comprises of Aluminium Ingots, Rotary Melting Furnace, Heat Treatment Furnace, Billet Re Heating Furnace, Copper Melting Furnace, Skelner Furnace, Recuperators, Oil Fired Burners, etc. These products are manufactured using supreme quality components and other allied material with the help of latest technology under the strict supervision of our skilled professionals. The components and other raw material which we use to manufacture these products is procured from the most trustworthy vendors of the industry. Our company is known for producing a high quality range of products and we manufacture these products according to set industry norms. Above mentioned products are highly admired among clients for their robust construction, corrosion resistance, optimum performance and enhanced durability. Further, these products are available in various specifications as per the varied needs of our valuable clients.